We believe dance promotes patience, endurance, respect, artistic expression, and builds self-confidence. 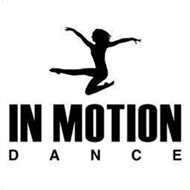 In Motion Dance offers individual dancer attention, respect towards each student, and guidance through the proper techniques. We are dedicated to being a part of Long Grove and its surrounding communities by encouraging expression through movement. IMD offers students ages 2 ½ – 18 opportunities to learn a variety of dance styles, including: ballet, broadway jazz, contemporary, hip-hop, jazz, lyrical, poms, and tap.